Trustpower Baypark, located in the scenic Mount Maunganui area of the Bay of Plenty provides a unique and multifaceted combination of facilities in one convenient location. As a hub for events, high profile sport, culture and entertainment the extensive portfolio of venues can accommodate activities of almost any type, scale and duration. A focal point for activities on site is the impressive Trustpower Arena. It comprises of two spacious auditoriums, meeting suites and two circulation areas joined together by an expansive foyer. The facility includes a modern café facility and prominent Civic art collection. Large outflow facilities and spaces include the 17,000 seat Trustpower Stadium, lounges and flat expansive concrete and grassed areas. They host a wide variety of activities including Super Rugby, speedway, motor sports, concerts and blokarting. Trustpower Baypark’s 451m red clay speedway track is renowned for great racing and is regarded as one of the fastest tracks in New Zealand. The adjacent floodlit 22,200 m2 asphalt pit area, covered grandstands, indoor hospitality lounges and public catering outlets provide a great range of facilities and services for promoters, sporting organisations, drivers and their fans. Corporate occasions including conferences, meetings, awards, trade shows, exhibitions and gala dinners are superbly catered for. A dedicated in-house management team and highly respected full catering service enhance the quality experience of visiting Trustpower Baypark. Located on the junction of major state highways, only minutes from Tauranga Airport Trustpower Baypark offers easy access and provides parking on site for up to 5,000 vehicles. It is within easy reach of the CBD, hotels, motels, Bayfair Shopping Centre and entertainment. The region is linked to by services to international airports in Rotorua, Hamilton and Auckland. Set on the beautiful Bay of Plenty coastline renowned for its climate and activities on and off the water, Trustpower Baypark is the natural choice for any event. 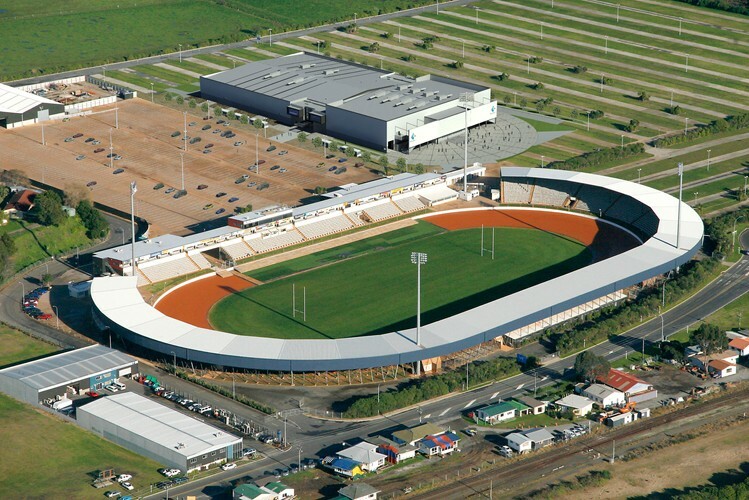 We are also the home of the Bay of Plenty Steamers, Baypark Speedway and proud hosts to the Waikato Bay of Plenty Magic. Bay Dreams brings twice the magic in 2019!